If you thought berry-related puzzles existed solely in the universe of cute Nintendo games, consider this very real dog facing just that kind of puzzle, demonstrating true grit. Until I saw this dog confront perfect futility I did not know an animal could be this relatable or inspiring. 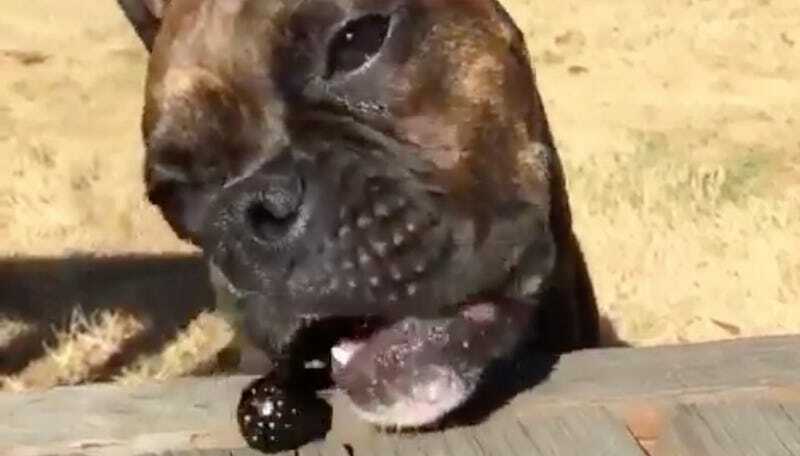 May we all persevere like dog with berry.